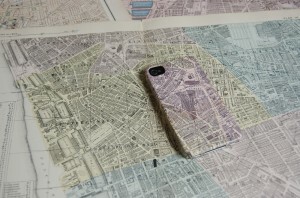 You should be redirected automatically in a few moments, but if not, please click here to see if Old maps of Historic Liverpool now available as phone and tablet cases has made the transition. I’m making my old maps of Liverpool more available for you to enjoy every day. From phone cases to drinking mugs, get your hands on some old Liverpool cartography. Historic Liverpool (and this blog Liverpool Landscapes) has always been about maps. I started with the idea of interactive maps such as the Protected Heritage one, but in recent years I’ve started putting up scans of old maps of Liverpool. They’re interactive in the same way as Google Maps: you can drag them around with your mouse and zoom in and out. They’re amongst the most popular pages on the Historic Liverpool website, and so I’m pretty sure people are enjoying them. They’re definitely popular! New! New! New! OK, I’m a little excited by this one because I’ve bought some of this stuff and even cynical old me was impressed! 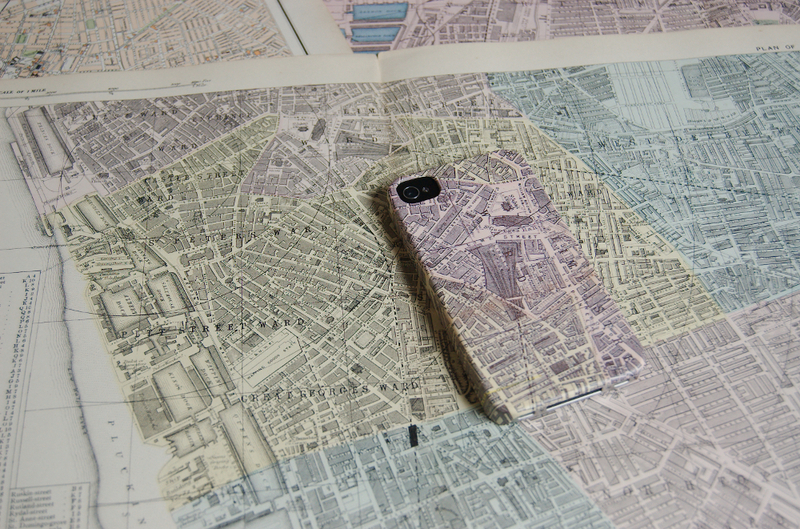 You can now buy the maps you see on Historic Liverpool printed onto phone and tablet cases. They’re over on Etsy at the moment, but of course you can get them straight from me. The photos at Etsy show only a couple of the examples, but should give you an impression of the range available. Each case can be printed with any of my old maps of Liverpool. You can get cases for iPhones 4 and 5 (and the S versions of those), and iPads (except the Air). I can supply cases for some of the other phone models, so get in touch to ask me if I have yours. Perhaps you need something a little more special. Well, if, for example, you’d like a case with the map centred on your house, or your ancestor’s house, then that’s something I can do. Of course, I’ll need to check that that house is on the map you like, but get in touch and I’ll see what I can do! These are just the beginning. 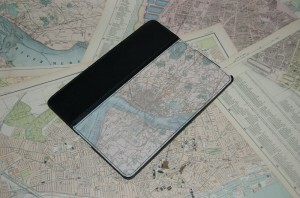 I can already supply other stuff with old maps on like wallets, purses, bags and mugs. I haven’t yet posted every product online, but I can produce them now. Contact me to ask about what else is available, or simply stay tuned! All the maps are originally around 52cm (20″) x 35cm (14″), and you can buy prints at this original size in a couple of ways. They’re printed by the excellent Filepress website, where you can get them as ‘giclee prints‘, on great quality paper and perfect for presents as well as hanging on your own wall. If you want to go one better, and have the prints on even heavier, higher quality paper, then you can get them from my shop on eBay. Due to eBay’s extortionate fees, they’re a little higher in price, so if you want to get them directly from me you can do so at reduced prices. Finally, if you’ve got a special project, such as a shop or cafe or reception that would benefit from something a little bigger, then I can provide you with an original digital file from which large-format printers can produce wall hangings and the like. Filepress giclee prints – high quality inkjet prints at A1 – A4 sizes. From £12.00. Archival paper prints are available through my eBay shop – custom size to fit map. All at £29.99. Or, get in touch with me via one of the methods on the Contact page on Historic Liverpool where I can offer a wider range of quality paper types, and lower prices. Basically, the message is: if I can help you find the thing you need, then I will. Whether it’s old map prints or antique map print gadget protectors, let me know and I’ll see what I can do. If you’ve any comments or questions, leave them below, and if you know someone with a shop who’d like to stock any of these, then there are discounts available for larger orders.